Invokana is a drug sometimes prescribed by doctors to Type 2 diabetics as a way of helping to lower sufferers’ blood-sugar level. 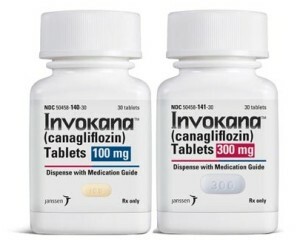 Invokana is an “SGLT-2 inhibitor,” which means that it forces the patient’s kidneys to increase the amount of sugar sent out of the body in the urine. As diabetes is the 7th most common cause of death in the U.S. and as Type 2 diabetes can ultimately lead to such devastating consequences as loss of vision, nervous system damage, hypertension, cardiac disease and stroke, and kidney failure, it is no wonder that creative ways to combat it are sought out. However, when a drug is unnecessarily prescribed and then harms its users as much or more than the disease itself, legal compensation is in order. At the Law Offices of Ronald B. Laba, we protect the rights of victims of negligent prescription drug manufacturers, and we are representing victims of Invokana’ s manufacturer specifically. Plaintiffs allege that, with proper warning labels, doctors would have prescribed different medications to their patients and that the health-monitoring of diabetics would have been closer, which would have allowed warning signs of heart disease, kidney failure, and high ketones levels to have been detected. The Invokana lawsuit is complicated by the fact that “Invokana-like” drugs come under a variety of brand names. All of them have active ingredients that can increase the risks of developing kidney disease, heart disease, and/or keto-acidosis. The commonly sold brand names in question, along with their active ingredients, are as follows: Invokana, Canagli-flozin; Invokamet, Canagli-flozin and Metformin; Glyxambi, Lina-gliptin and Empa-gli-flozin; Jardiance, Empa-gli-flozin; Farxiga, Dapa-gli-flozin; and Xigduo-XR, Dapa-gli-flozin and Metformin. If you have been harmed or think you may have been harmed by any of the above-mentioned drugs, do not hesitate to contact Attorney Ron Laba at 800-490-2222for a free legal consultation. What are the Risks of Invokana? If your kidneys cease to function, your life will soon end. If they cease to function properly, various conditions can arise. The kidneys are involved in cleansing the blood of waste materials, maintaining good electrolyte balance, keeping blood pressure normal, and even in manufacturing new red blood cells. When these vital functions are impaired, toxins can build up in your body and result in a variety of symptoms, including exhaustion, shortness of breath, disorientation, and abnormal heart rhythm. When high-acid “ketones” build up in your body, you may be hospitalized, fall into a “diabetic coma,” or even lose your life. If your body cannot produce sufficient insulin, which assists in glucose transport and energy production, it will resort to breaking down fats as an alternative energy source. When this is done excessively, however, it can lead to the build-up of toxic by-products called “ketones” in the blood stream. You some form of kidney, liver, or heart disease. You suffer from high or low blood pressure. You are hyperkalemic or have another electrolyte imbalance. You take insulin, are on a low salt diet, or take some kind of diabetes medication. It is not presently known if Invokana has harmful effects on an unborn or breast-fed child, but those who are or may become pregnant should be careful to consult their doctor before taking Invokana. Those in the above-listed high-risk categories should do the same. These and other symptoms may be signs of the onset of kidney failure, heart trouble, or keto-acidosis. Take care to monitor yourself for these symptoms and/or to get someone else to monitor you. If problems arise, do not hesitate to contact your physician or to seek medical help without delay. Will Invokana Lawsuits Be Combined as a “Class Action” Suit? At the Law Offices of Ronald B. Laba, we have decided against trying to handle our Invokana suits as a “class action.” “Class Action” is a very specific legal term that refers not only to a group of plaintiffs filing together against a single entity but also includes the idea that a small subset of victims litigate in behalf of a larger group. The settlement, then, is binding on the whole group. We believe it is best to pursue Invokana claims with a “multi-district litigation” (MDL) suit instead. This means that, while individual cases are heard by a single judge at one time and place, each case is still distinct. Thus, you are not forced to settle just because others have. You can make your own decisions instead of being bound by the action of the group. We will also be there to arm you with the knowledge you need to make a truly informed decision. At the Law Office of Ronald B. Laba, we work on a contingency basis, meaning we collect nothing unless you collect first. We do not charge you upfront nor hidden fees. Unless we serve you well, we work for free. If you are taking or have taken Invokana or a similar drug and believe you may have been injured by its use, do not hesitate to contact us for a free and fully confidential case evaluation. We have a team of experienced experts on the effects of Invokana and the legal details of when you are entitled to compensation and how to obtain it. We will fight for you and work to maximize your claim. Call us toll-free, 24/7 at 800-490-2222, and we will waste no time in assisting you with your case. 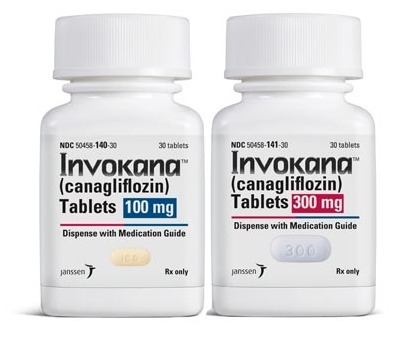 A: Invokana (canagliflozin) is one of several drugs that belong to a new class of medications called sodium-glucose co-transporter 2 (SGLT2) inhibitors. Normally, when a person eats the body produces insulin to process sugar that enters the body. In people with Type 2 diabetes, this response no longer works the way it should, and they develop insulin resistance. Eventually, the pancreas can’t keep up with the demand for insulin and sugar levels rise to dangerous levels. Invokana and other SGLT2 inhibitors work by preventing sugar from being reabsorbed into the blood. Q: How does Invokana® work? A: While many drugs work to increase insulin, Invokana works by stopping glucose from being reabsorbed into the blood in the kidneys. It acts by inhibiting a special protein in the kidney called SGLT2 that is responsible for reabsorbing 90 percent of the glucose in the kidneys. Instead of reabsorbing the sugar, the kidneys secrete it, and it leaves the body during urination. This results in lowered levels of glucose in the blood. Q: What Side Effects have been associated with Invokana®? A: In short, this drug has been linked to kidney problems, keto-acidosis, coma, and heart attack, among others. Lawsuits allege the manufacturer of Invokana failed to provide adequate warnings and communications to the medical community and end line consumers of the increased risk of serious and life threatening medical complications associated with these drugs. A: This is a case against the manufacturers of Invokana® – Johnson & Johnson, Janssen Pharmaceutical, and their affiliated companies. A: No, this is not a case against any doctors, hospitals, pharmacies or any other health care provider. We believe fault lies solely with the manufacturers of the product.